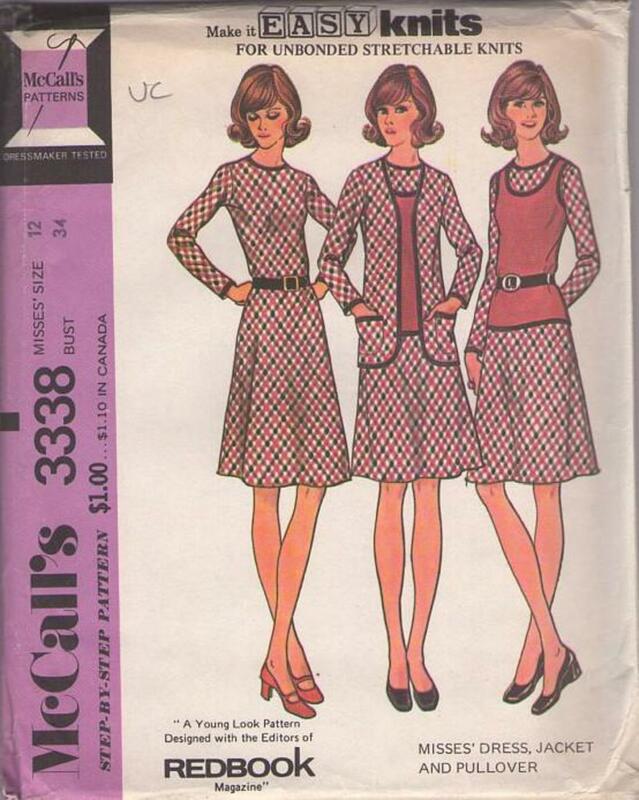 1972, 70s Secretary, Retro Separates Clothing Patterns - Misses' dress, jacket & pullover for unbonded stretchable knits. Dress has back zipper. Jacket has patch pockets. Dress, jacket & pullover are bound with flexible foldover braid. Dress or pullover may have purchased belt.